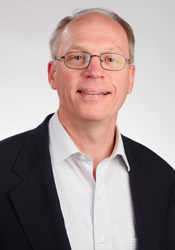 Steven F. Nothwehr, Ph.D. is a Program Director at the Translational Research Program within the Division of Cancer Treatment and Diagnosis, National Cancer Institute (NCI). His academic training included Ph.D. thesis work in Molecular Biology and Biochemistry at Washington University in St. Louis, in the laboratory of Dr. Jeffrey I. Gordon. After postdoctoral work at the University of Oregon, Dr. Nothwehr accepted an Assistant Professor position at the University of Missouri-Columbia, where he was later promoted to Associate Professor. There, he taught courses in cell and molecular biology and performed NIH-funded research in the areas of intracellular protein/membrane trafficking and sorting and programmed cell death. He has published 26 peer reviewed manuscripts and 7 invited reviews and book chapters. Dr. Nothwehr came to the NIH in 2007 initially for a sabbatical in the AAAS Science & Technology Policy Fellowship program. In 2009 he took a position as a Scientific Review officer at the Center for Scientific Review where he managed the Cancer Genetics study section. He joined the Translational Research Program in 2011 where he oversees Specialized Programs of Research Excellence (SPOREs) in GI, Pancreas, Neuroendocrine, Liver, and Hyperactive Ras cancers.